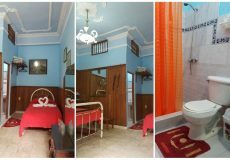 It has a spacious room for rent and conditions required for a good stay. 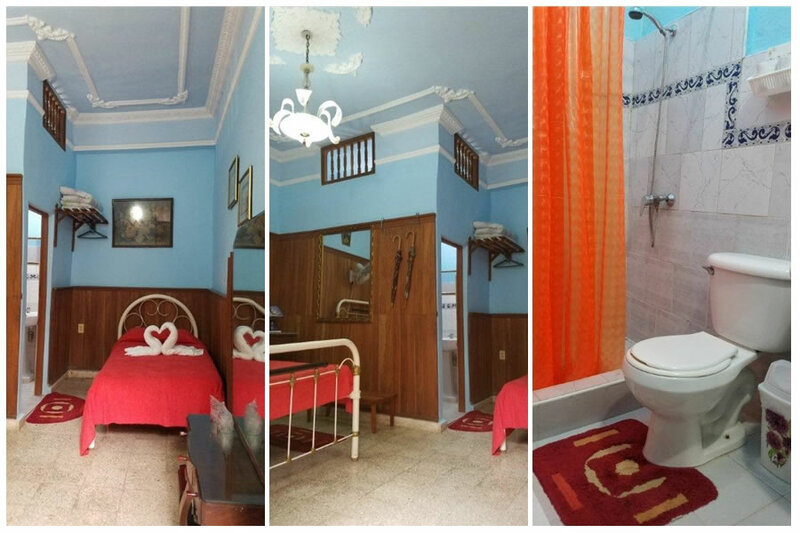 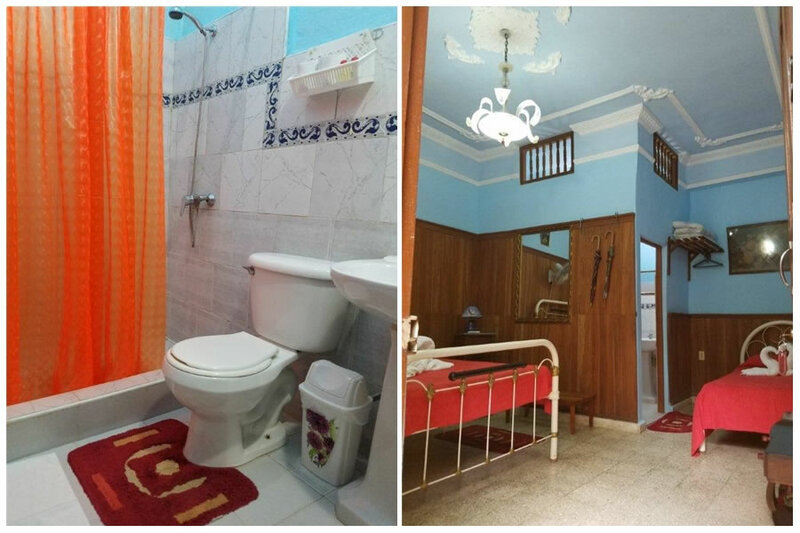 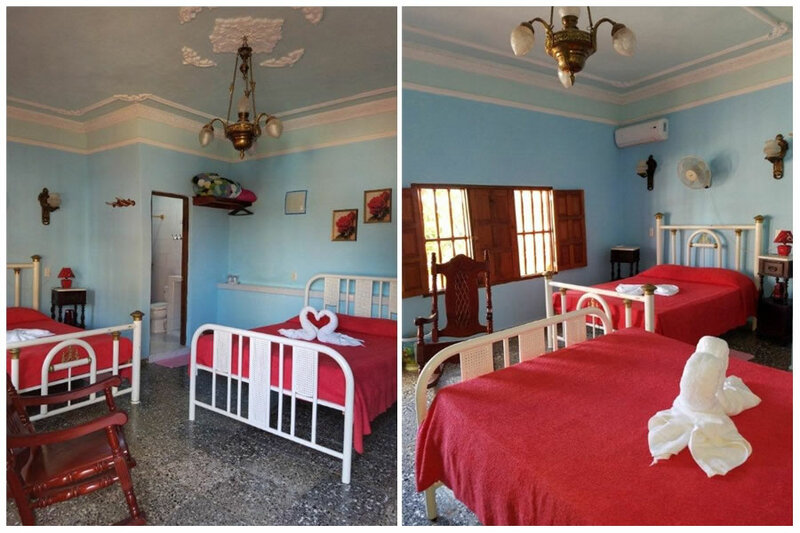 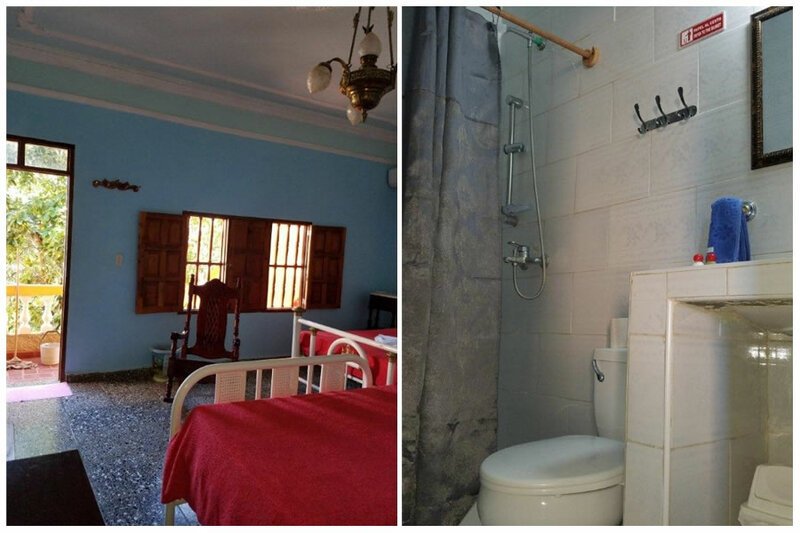 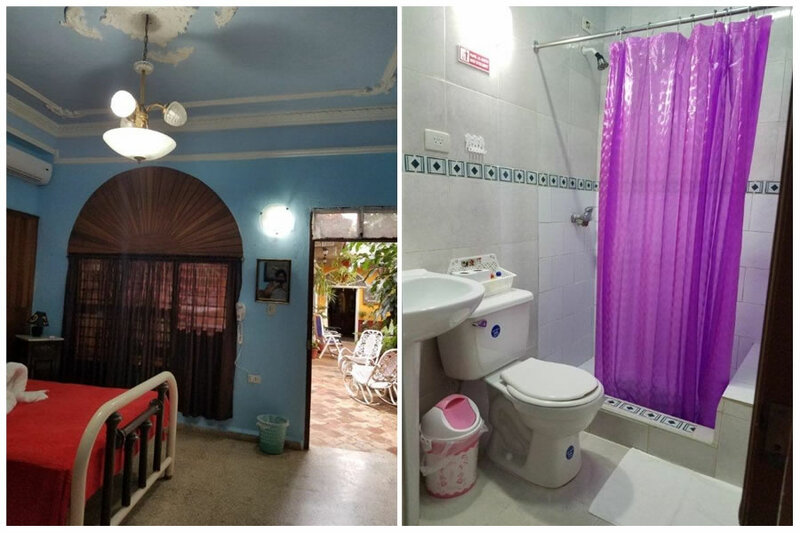 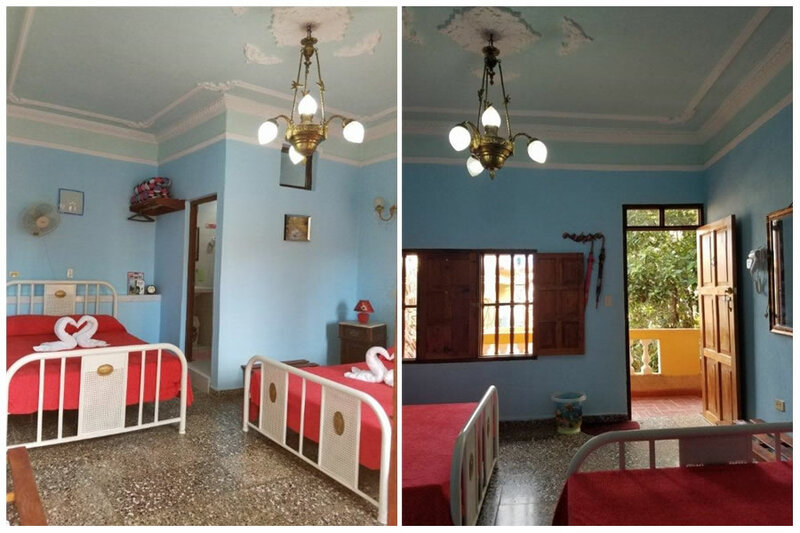 It has 5 spacious rooms for rent and conditions required for a good stay, one of them has entrance and exit independent to the street, the other 4 are inside the house, independent to the family home. 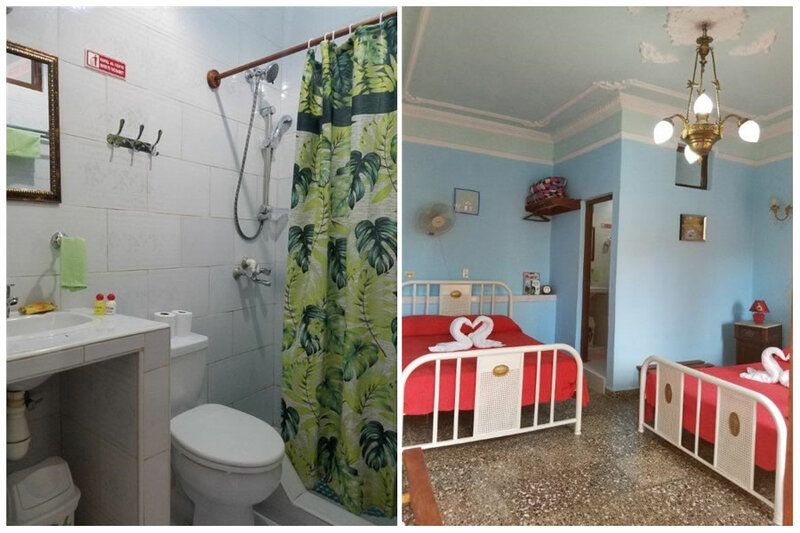 Es una buena casa para descansar esta a pocos metros de la zona histórica tiene buena comida buena atención perfectas habitaciones. 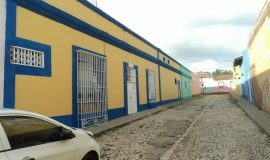 Excelencia total. 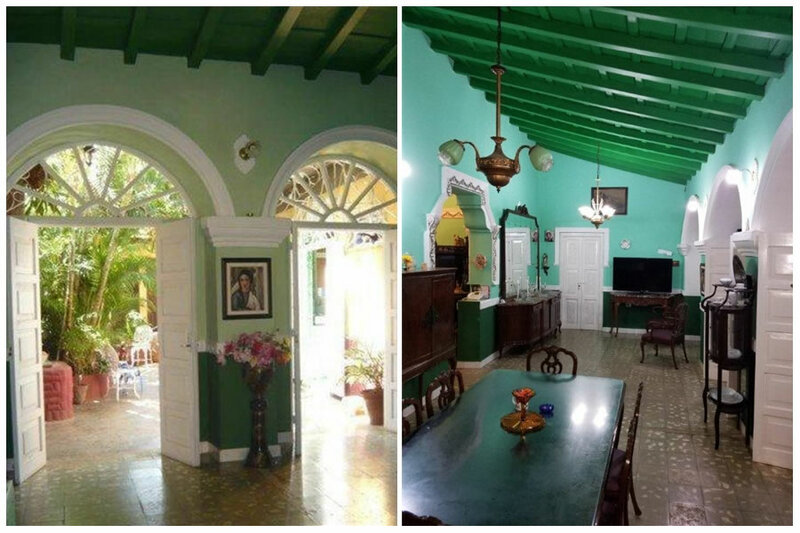 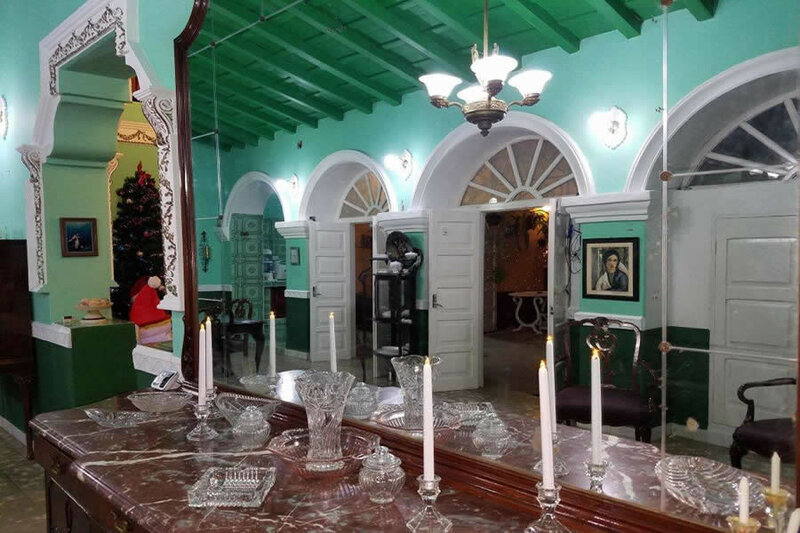 Elegant colonial house from the 18th century, preserved in its entirety, with high wooden ceilings and mud roof, located in the historical center of the city of Trinidad. 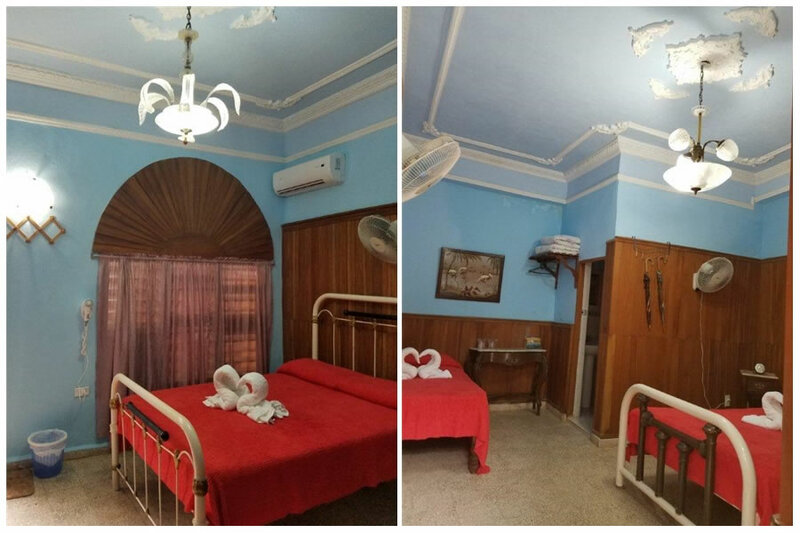 It has 5 spacious rooms for rent and conditions required for a good stay, one of them has entrance and exit independent to the street, the other 4 are inside the house, independent to the family home. 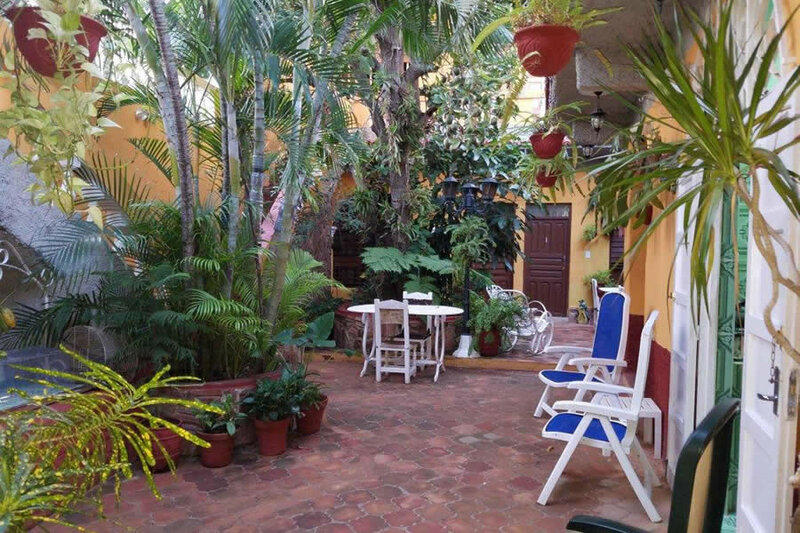 Later it has a clean and relaxing central patio with garden and a lush tree of delicious fruits of the avocado, orchids, ornamental plants and abundant nature. 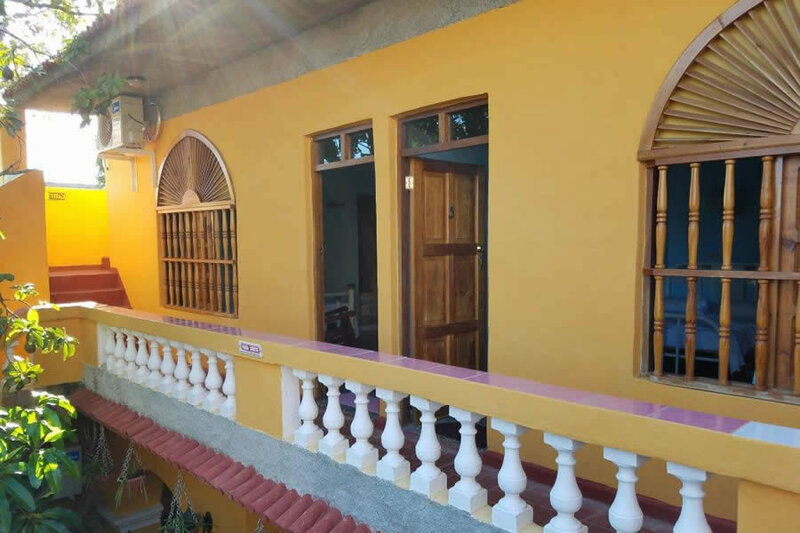 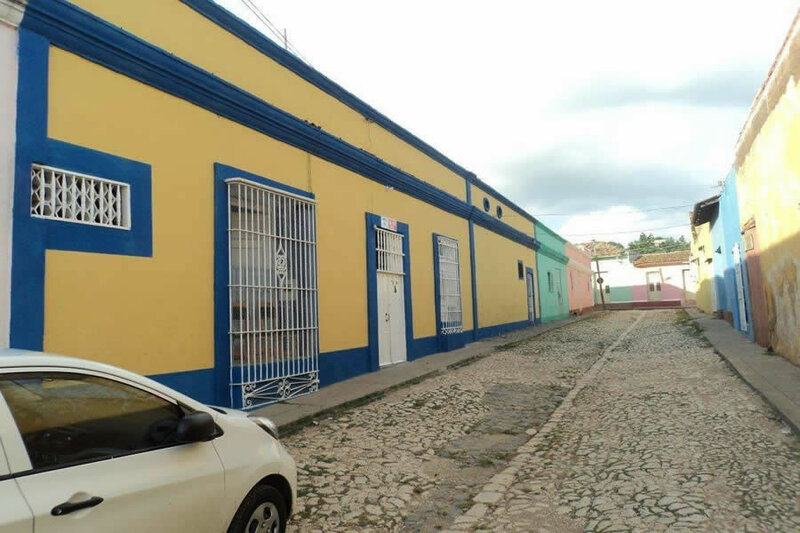 Also has two terraces, one of these on the third level (Roof), furnished for use from where you can take panoramic views of the city, the peninsula of Ancón and the mountains of Escambray, great place to relax at night watching The stars in the fresh air, listening to the music that is felt in the distance, coming from the Plaza Mayor. 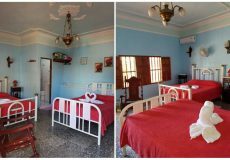 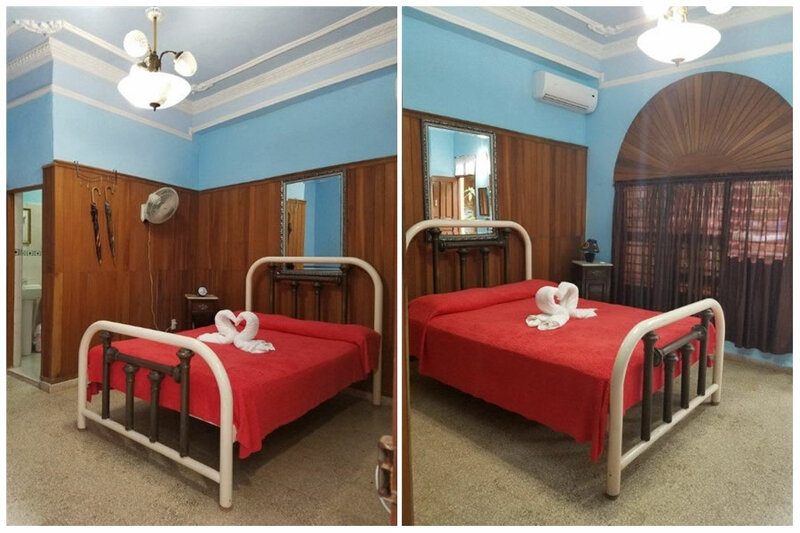 Each room has its own private bathroom, air conditioning, fans, hair dryer, 24 hours hot water, rechargeable fluorescent lamps, electricity 220 volt and 110 volt, area with refrigerator and television only for the use of customers and parking guaranteed to your arrival. 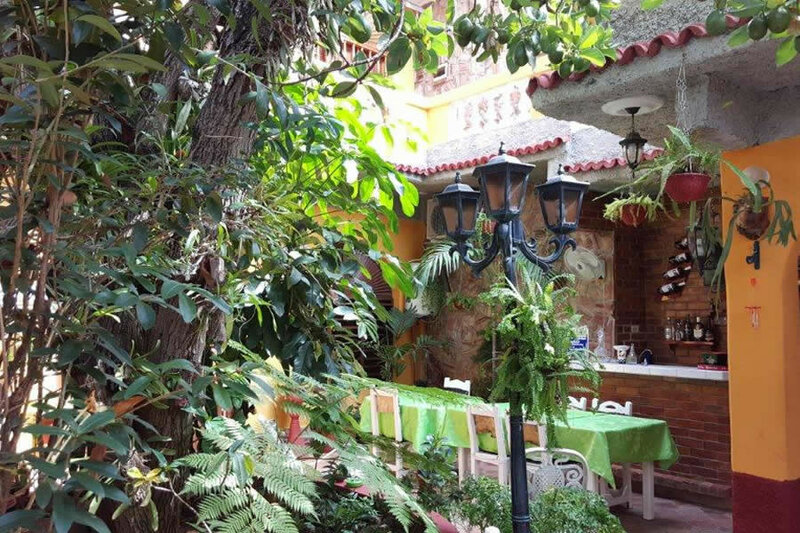 Excellent hosts at Casa Smith, Odalis and Jorge, father and daughter. 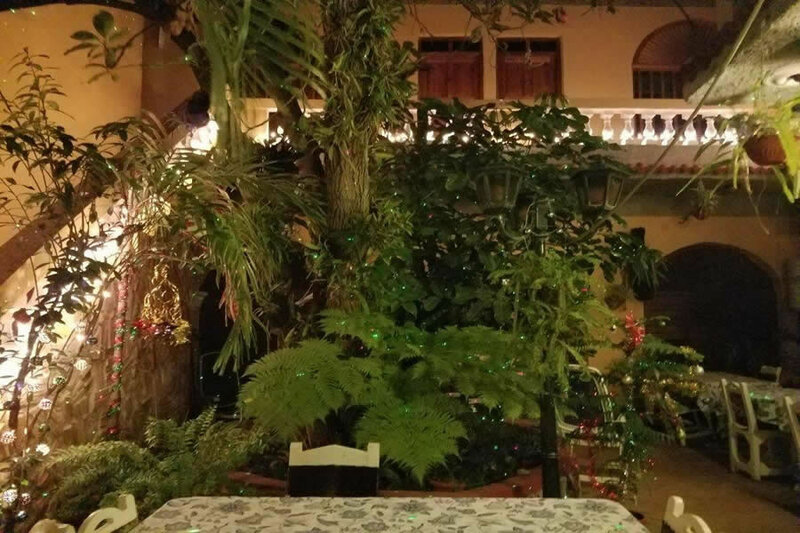 Whenever the customer prefers it in open hours, they will be offered a natural juice of our rich tropical fruits or a tasty Cuban coffee, free of charge.